This is an article I wrote during the first few weeks of blogging here on Gather Little by Little. At the time I didn’t have many readers. This is actually one of my favorite articles and I thought I would “dust it off” and share it. The dictionary defines “The Beginning” as to proceed to perform the first or earliest part of some action. Everything starts somewhere and begins with the first step. What is something related to your personal finances that you have been meaning to start but haven’t? Write down the list of things you have been wanting to do and then rank them by importance. Take the first item and figure out the next action you need to take to Begin heading in that direction. Cutting up your credit cards? So you’ve always wanted to start a budget, but you just never have the time, don’t know how to start, keep saying you’ll do it tomorrow or next month. Read my article on setting up a budget and/or download my budget spreadsheet. Begin the process now, not sometime today, not tomorrow. Your husband or wife won’t buy in or won’t follow it? Begin practicing some of these ideas to help. Have you been feeling the daily stress of being debt and want to stop being slave to the lender? Are you tired of living paycheck to paycheck, feeling like all of your money goes to making other people/companies wealthy? 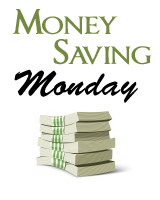 Begin the process of Getting control of your finances and getting out of debt today. 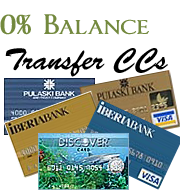 Have you been wanting to get rid of your credit cards but you’ve been to afraid to? Feel like you might need them if you do? Walk over to your wallet, call your family down to the shredder and have a Family Credit Card Shredding. You will be amazed at how much better you feel. You will feel confidence knowing that you’ve started down the process to no longer being slave to the lender. We cut up our cards 2 years ago and haven’t missed or needed them once. Are you out of debt and beginning to stress or worry about how you will pay for retirement? Wondering what you will do and how you will survive once you are out of the workplace. Begin funding your 401k or IRA today. Stop reading right now, and make that call to HR, or access the HR website and sign-up for your 401k program. Read up on all the funds later, just Begin now. Don’t have a 401k? Go down to your bank and ask about their IRA options, and create your IRA today. While it might seem to be a crazy time to start a 401k, it’s not. Right now is a great time. The golden rule is to buy low and sell high. Right now is the perfect time to buy stocks low. Later when the market recovers you’ll see significant gains. What are you going to Begin today? What things have you been wanting to do but keep putting off? Decide what you want to Begin today and take the first action to start it. Take a few minutes and ask God to help you, ask God to give you the faith and will-power to take that first action. Ask yourself, what is holding you back? What are you afraid of? What is the worst thing that could possibly happen, and what are the chances it will? If you have decided to begin something today, post a comment, share your beginning with other readers. Did you know that just writing down the 1 thing that you will begin today will significantly increase the chances that you will do it? Share your beginnings, what will you begin today? You are right, it’s all about beginning. I think the times are making people put that question into action. People should be proactive about their short term and long term finances. The times will change, but you always have to be ready. you never know what’s going to happen. I will BEGIN my emergency fund, and keep at it until I have $1000. I have begun this several times and each time I get a few hundred dollars in it, something happens. In May a cracked rear-axil, In Aug an unexpected and rather large dental bill for my daughter, and in Oct a family wedding that was way more expensive than we anticipated. And each time I have had to drain my “emergency fund”. This time I have set up two ingDirect accts- one I have labeled Emergency Fund- which I set up for a weekly $10 automatic deposit. The second one I labeled “Rainy Day Fund”- which I set up for auto. deposits of only $5/week. I am hoping that if anything else comes up that I will be able to pull from my Rainy day fund and not ruin my efforts to truely, fully fund my emergency fund. Great post! I love your blog and read it daily (via RSS Feed). Thanks! I agree! We must “begin” it today! The earlier and the younger we saved, the more our chances in achieving our financial goals. @Jen – Thanks Jen. Glad to have you as a reader! That first step is always the hardest, but looking back I’m so glad I took it! I’ve cleared nearly $20k in debt this year, started a Roth IRA, contribute to my 401(k) at work, and finally have a decent emergency fund. None of those goals would have been met without taking that first single step. I think the beginning is hard sometimes because it seems like it won’t make a difference, like the end is SO far out of sight that it’s not even worth it, but it’s untrue. The sooner you begin, the closer the end will be. Stories like Frugal Dad above are encouraging because once you get it going it gains momentum. Thanks for reposting this one … it’s a good one.